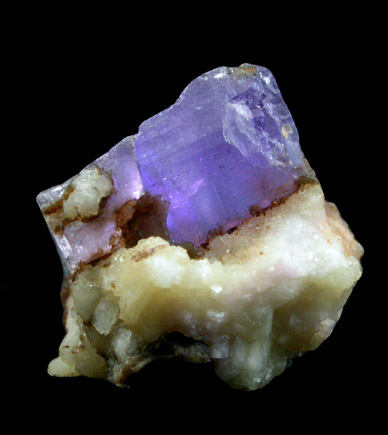 Phosphorus is a naturally-occurring element that is critical for animal and plant life functions. Phosphorous compounds form the helical skeleton of DNA! It is found in animal urine and excreta, in bones, guano, in mineral rock, and is a key ingredient in many fertilizers. It is also found in innumerable manufactured compounds we use every day, from detergents to herbicides to steel. In the environment, excess phosphorus run-off from fertilized lawns and farmland and sewage discharge can lead to too much plant and algae growth in streams, rivers, lakes, and the ocean. 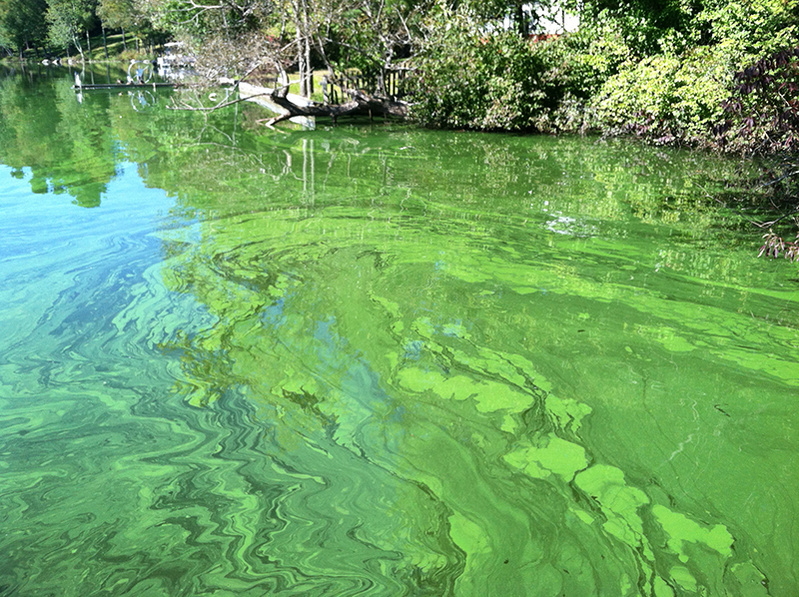 This "eutrophication" uses up available oxygen dissolved in the water, killing off higher forms of aquatic animal life. TOTAL PHOSPHORUS - Includes the total amount of all forms of phosphorus in solution (reactive) and in particulate form. DISSOLVED PHOSPHOROUS - All of the phosphorus present in the filtrate of a sample filtered through a phosphorus-free filter of 0.45 micron pore size and measured by the persulfate digestion procedure. HYDROLYZABLE PHOSPHOROUS - As measured by the sulfuric acid hydrolysis procedure and minus predetermined dissolved orthophosphates. Total P: preserved with 1:1 H2SO4 to pH < 2 and cooled to <6°C. Add approximately 2 mL per 500 mL sample. Ortho-P: field filtered* and cooled to <6°C. Available-P: cool to to <6°C. *Filtration in field: dissolved forms of phosphorus and ortho-phosphate are analyzed after filtration with a 0.45 um disc filter (preferably within 15 minutes of sampling and prior to preservation). Algal blooms in Sabattus Pond. By Natural Resources Council of Maine, 2013.